Samsung Galaxy Note 7 Launched, Boast Flagship Specs, IP68 Rating, And Iris Scanner For 39990 Pesos! 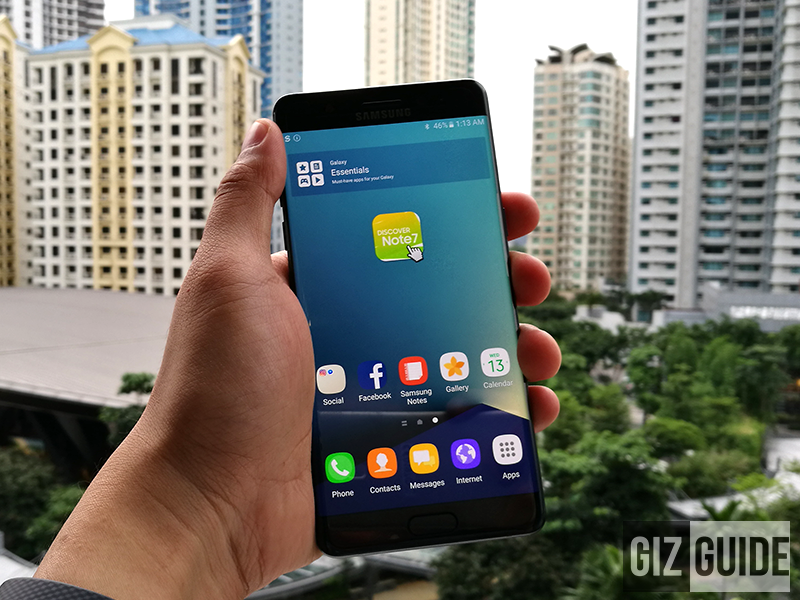 Home / mobile / news / samsung / Samsung Galaxy Note 7 Launched, Boast Flagship Specs, IP68 Rating, And Iris Scanner For 39990 Pesos! Just in! Samsung has finally launched the flagship Note 7, the upgrade of the Note 5 that now has improved design, beefier specs, and more features than ever. In case you are wondering why the handset is called the Note 7 instead of Note 6, Samsung explained to us that they skipped it on purpose to avoid confusion and have better consistency in their product portfolio. Moving forward, like what we said earlier, the Samsung Galaxy Note 7 touts several improvements to the table. Coming from the metal curved back, this device now has a curved glass back with the tougher aluminum 7000 series. In front the device now has a 5.7 Inch QHD Curved Super AMOLED 2560 x 1440 resolution w/ always on feature at 518 ppi. Both are protected by the new Corning Gorilla Glass 5 protection. Powering this phone is nearly the same internals found with the S7 with several improvements! Under the hood, the rest is almost the same with the Galaxy S7 series. It runs with a 2.3 GHz 64 Bit Exynos 8890 octa core processor, Mali T880 GPU, 4 GB LPDDR4,64 GB expandable via micro SD card up to 256 GB, and larger 3,500 mAh w/ fast charging via USB Type C cable and wireless charging. Camera-wise, its still has the same great 12 MP f/1.7 w/ Dual Pixel, OIS, and dual tone LED flash and 5 MP f/1.7 that can both see pretty well even in the dark. 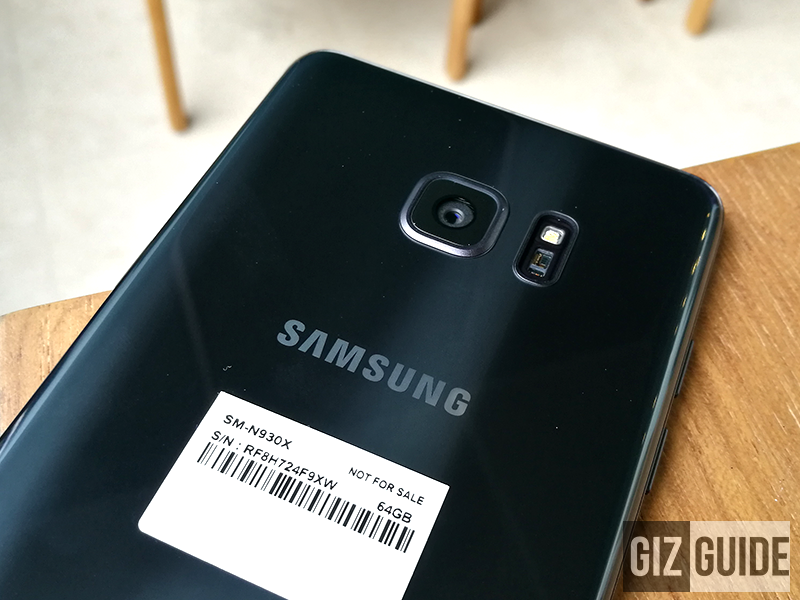 Related: First Photos And Videos Captured Using New Samsung Galaxy Note 7! Going to the main highlights of this phone, it now has an IP68 water and dust resistance rating for the phone and S Pen. Meaning, you can submerge the device under water for up to 5 ft for 30 mins. Aside from that, the S Pen can now be used even if your phone is wet. Another notable improvement of the S Pen is it is now more responsive and sensitive. The body of the pen is now slightly smaller and comes with a smaller tip that can provide a more natural writing feel. It also has an added eraser button, can pin your note, shortcut for up to 4 recent apps, new air command systems, can magnify up to 300%, and comes with an enhanced GIF maker. The coolest new innovation found with the Note 7 is its Iris scanner. It's another front facing camera that records your unique retina to provide the toughest security possible. Apart from unlocking your screen, the Iris scanner can be used to secure your folders that contains sensitive data and store 3rd party apps. Samsung also highlights the HDR video feature that provides more contrast, better colors, and life like picture renders. Then the device is complete with the rest of the basic sensors like a fingerprint scanner, barometer, geomagnetic, hall, heart rate, proximity, light, and gyroscope. The Samsung Galaxy Note 7 will com in gold platinum and black only variant with an SRP of 39,990 Pesos. There will be a pre-order this August 15 and will be available on August 20, 2016. Both Smart and Globe will also carry this device via post-paid plans, pre-order for telcos starts this August 6.